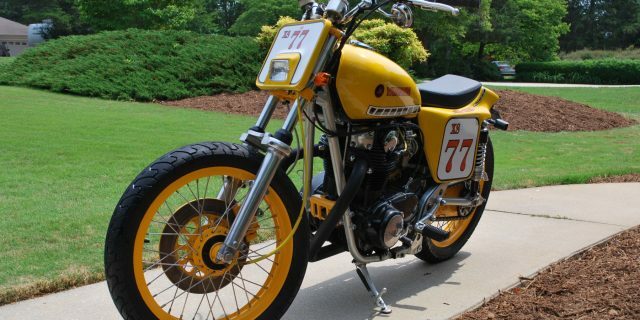 This is a beautiful 1977 XS 650 Yamaha. 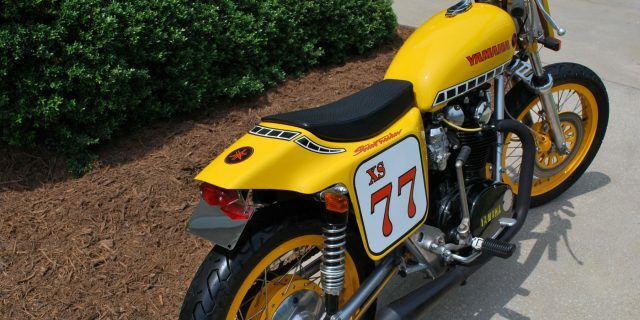 I like a nice “Street Tracker” designed after the bikes Kenny Roberts use to race on “dirt track”. 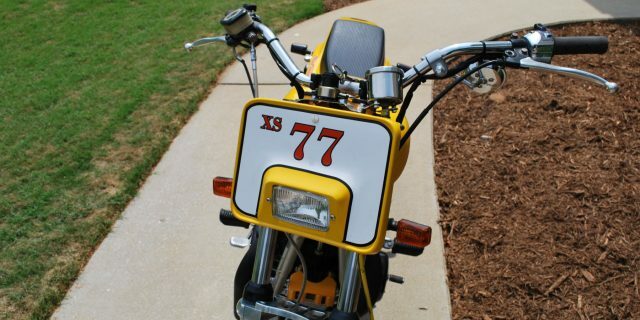 This bike is one of the better quality versions I’ve seen. The engine was rebuilt by a Yamaha dealership and has less than 700 miles on it. This model has electric and kick start. It runs great, fun to play on and sounds great.